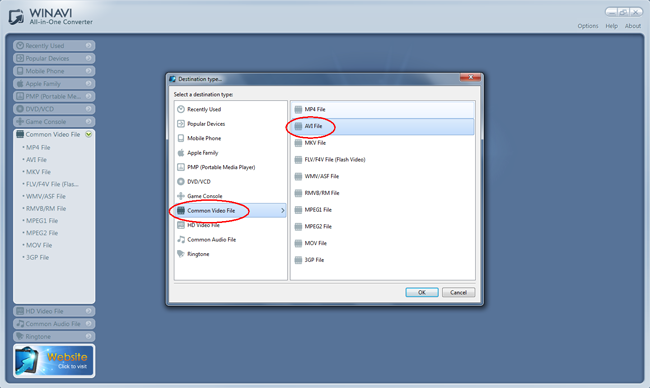 How to use WinAVI MKV Converter to convert video files? WinAVI MKV Converter can convert MKV file to AVI and other popular video formats like MPEG1/2, MP4, WMV, FLV, MOV, VCD/DVD, XviD/DivX, 3GP, and extract MP3, WAV, WMA, AAC or M4A audio file from MKV file. 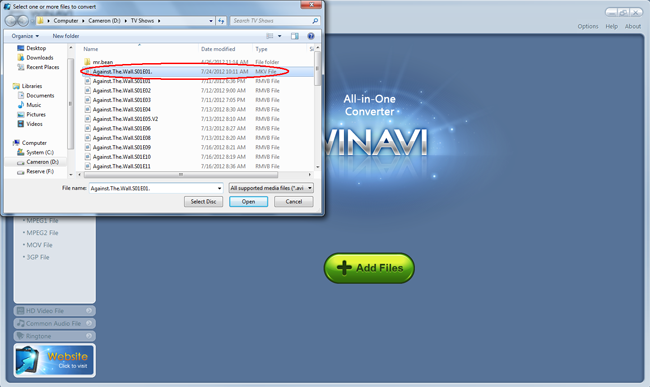 After downloadingWinAVI All In One Converter and installing, launch WinAVI All-in-one Converter . 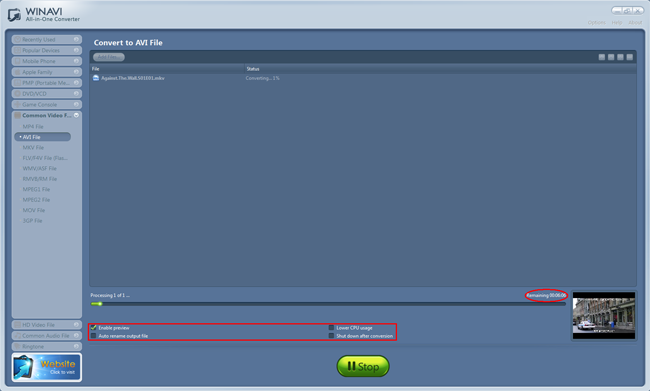 Click "Add Files " to load MKV file(s). Select any file you want and click "Open" button. Choosing output format. 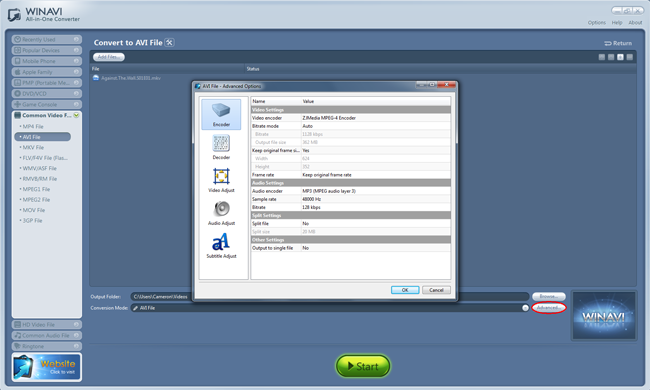 Click to choose files and click Profile drop-down list to choose an output format. Here, I choose to convert MKV files to AVI. （Or you can choose the format first and then the file you want to convert.) . 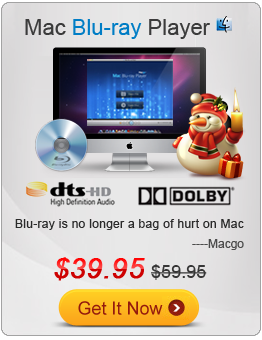 Tips: This MKV Converter supports many output devices. You can not only use it to convert MKV to AVI, MKV to MP4, but also convert it to many other formats supported by these popular devices. Click "Browse" button to select a path for outputed file. Change the advanced setting. You will find this MKV Converter supporting much more settings to help you realize the output file customization: video codec, video size, bit rate, frame rate, audio codec, channels, and so on. Converting files. Click ‘start” button to start. You can s abort the conversion in any time. PS:During the converting process, you can see the remaining time and some other functions.